Bernhard works for a Norwegian recruitment company in Riga and helps Latvian workers find job in Norway. He found us on twitter and decided to assign us to design business cards that would stand out from the crowd. The task was to do one side in Latvian and the other one in English but after a short talk we agreed that we will do only the English version and are free to do with side B what we want. 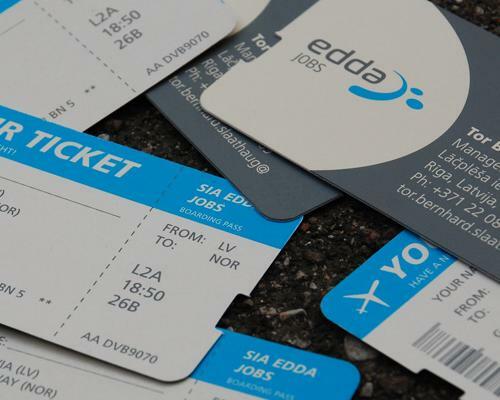 So we designed it to look like an airway ticket from Latvia to Norway.